If you’re creating a free plugin, framework, or open-source script you’ll need documentation. It’s crucial to document your work, both for your sanity and to help others who want to learn your awesome resource. However, creating online documentation can be a real pain. 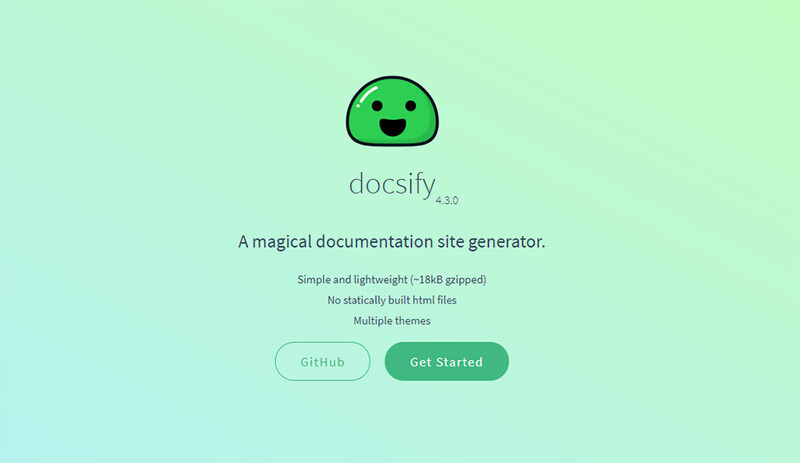 Thankfully, Docsify makes it easier by providing a free documentation generator running on Markdown. This is not a typical static site generator and it does not require static HTML/CSS pages. Instead, it loads Markdown files dynamically and displays them as web pages. Pretty neat! Check out the Docsify homepage for a preview of the layout, along with further setup details. It does require that you create the index.html file yourself, which can then be uploaded to GitHub Pages or hosted on your own server. 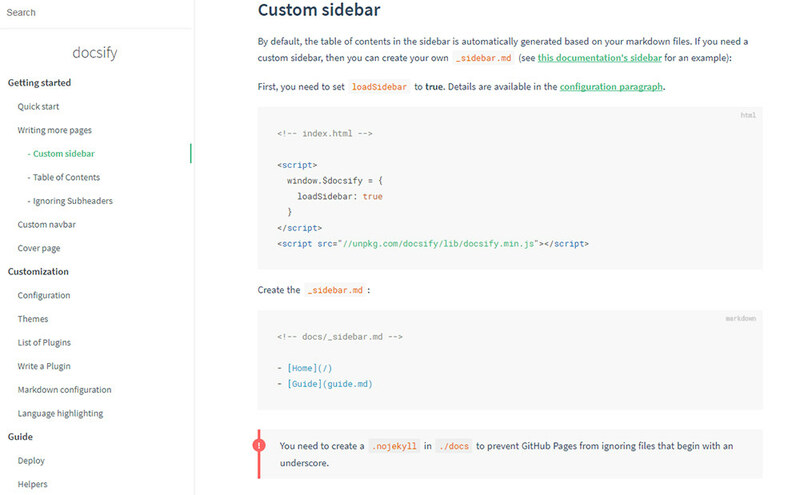 From there, you just write Markdown files for each page and use those as your primary docs. The entire process is outlined in detail in the quick start guide, so that’s probably the best place to start. This can all run through npm, so it really helps to know your command prompt or at least be willing to learn. It is possible to create a raw HTML file yourself and just copy/paste the template from Docsify’s setup guide. But, I recommend doing it dynamically, since it saves a ton of time—and isn’t that really the point? As you learn the Docsify system, you can add features using Markdown or raw HTML. These features include a custom navigation bar and even your own cover page with your project’s logo. Docsify even comes packaged with a bunch of free themes if you want pre-designed layouts to work with. Or, you can browse through their showcase gallery to see which projects use Docsify for their documentation. All the basic setup info & file downloads can be found on GitHub, so head over there if you want to give this a shot. You can also see a live demo on the main Docsify documentation page which, sure enough, runs on Docsify. So, if you like that web page layout you can use that same template and run it all through Docsify, 100% free and open-source.